Jake wakes up one morning after a party and finds an email in his in-box from a young girl he met at the party. Attached is a sexually explicit video she has made for him. He forwards the video to a friend, who then forwards it to a friend. Within hours, it's gone viral, all over the school, the city, the world. Just from reading the blurb on the back of the book I was instantly fascinated with the storyline. I’m actually quite surprised there haven’t been more books about this sort of thing with kids being allowed pretty free access to the internet these days. Or is there and I just haven’t found them? I enjoyed book being told from Jake and his family's point of view, not the girl’s and although there was a little written about the girl, it didn’t impact too heavily on the main story. Her side really didn’t interest me at all for some reason, I’m not sure if that’s good or bad. The idea that a simple action can have such disastrous consequences is something people either don’t care about anymore or we have been brought up with no concept of the consequences of these actions. In this book I did feel that too little was said about this point. I know that sounds an odd thing to say with the whole point of the book being about the consequences, I still felt too little was said to or by the main characters. I particularly enjoyed the fact that the mum was constantly on the net, thereby teaching the kids that it’s ok. I enjoyed this book and would definitely recommend it as the characters were well written and the topic was as interesting and thought provoking as I hoped it would be. Four new short stories from the Outlander series featuring our favourite Lord John Grey as well as Jamie’s step daughter and his nephew and Jeremy’s mum and dad. You can’t really read these unless you have read the Outlander series, that’s the downside. 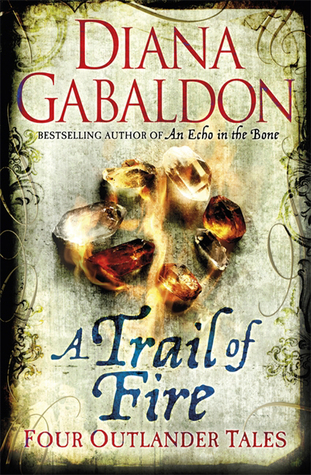 Also, if you are not a Lord John fan, which quite a few Outlander fans aren’t, you won’t want to read this either. However, if like me you are desperate for the next book in the series, Written In My Own Heart’s Blood to be released (late 2013); then this is the perfect book to fill in some time whilst waiting. As always with Diana, the books are full of wonderful historical facts, each character is ‘real’ (as in they all have faults and aren’t romanticised) and it was lovely to get more information and background to minor characters from the series. I was also very happy with the fact the endings weren’t too depressing! Except one story, that is, and even that one was kind of happy in a way; I’m not saying anymore – spoilers! 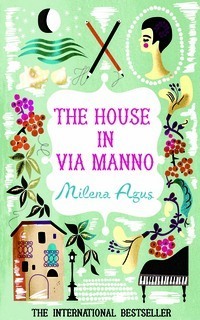 The House in via Manno tells the story of a woman (the narrator's grandmother), her life, her marriage and her loves. Nonna married late in life to a man whom she did not love and he did not love her. she also suffered from kidney stones and whilst visiting a spa for treatment, she meets the love of her life. I thought the Nonna was amazing, the way she told her granddaughter everything without censoring it, was scary and brilliant too. Poor Nonno, although that man gave as good as he got though, especially in the bedroom department. He was far more loving towards her than she ever seemed to be towards him even if she felt guilty about it at times. I was surprised her son and granddaughter turned out even halfway normal! I would thoroughly recommend this to anyone and everyone!